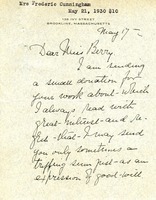 Cunningham has followed the Berry Schools with great interest and is moved to write to express her delight and Ellen Mason's will. 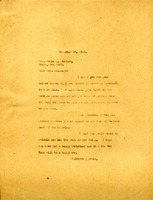 She shares that boxes of papers from Mason and Lawrence had been hidden away in the eaves of her home for years. 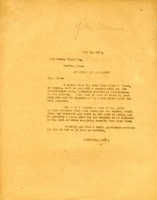 Martha Berry writes to Mrs. Stilson to thank her for her letter stating that she wishes to leave something behind in her will to the Berry Schools. 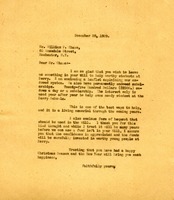 Martha Berry wishes her a Happy Christmas and New Year. 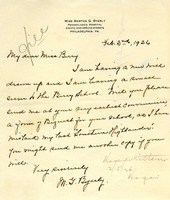 Miss Byerly writes that she is drawing up a new will and is leaving a small amount to the Berry Schools.